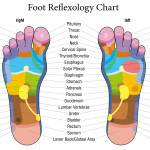 Reflexology is a truly holistic treatment that has become a tribute and recognised. You will learn about the bodies’ energy flow and how pressure massage to the reflex points of the feet and hands can benefit a client suffering from range of problems. An excellent alternative therapy which is a non-invasive treatment.